SBWire offers online press release distribution services to small and mid-sized businesses. It publishes clients’ content on various media sites on a pay-as-you-go or subscription basis. In this article, we cover SBWire reviews and pricing. Ready to get started? Sign up for free. As of the date this article was written (February 25, 2019), there are no up-to-date SBWire reviews online. If you are a past or current SBWire customer, leave a review to help other business owners who are deciding whether or not to use the platform. 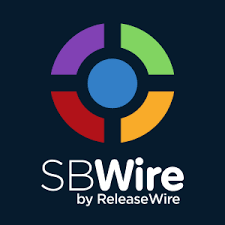 SBWire pricing includes a free, a pay-as-you-go ($39 per press release) plan and a monthly subscription that allows business owners to submit three, five, 10, 15, or 20 online press releases for distribution in one month at a cost that ranges between $59 and $299 per month. It also allows the addition of photos, videos, and audio. Ready to get started with SBWire? Sign up for free. 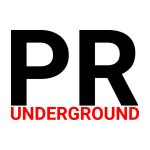 How do I start submitting press releases to SBWire? Users need to create a free account first or log in to their existing SBWire account. Once logged in, they have to create a company profile, then submit their news release for editorial review and distribution. What type of billing does SBWire allow? SBWire allows either manual or automatic monthly billing. Have you read these SBWire reviews and are still not sure if it’s the right fit for you? Read our reviews of all top press release service providers or check out one of these three SBWire competitors. I used ReleaseWire which SBwire owns. The service is terrible, they ripped me off and owe me $90 and their editors are incompetent. This is a horrible service, stay away from them or you may be ripped off like me. I still use SBWire every so often, but their press releases no longer show up in Google News, and I think their links are all no-follow now, so there’s very little benefit anymore.